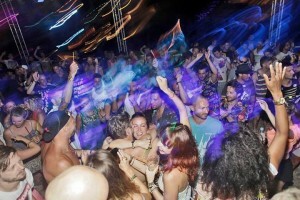 So popular has Croatia become with dance revellers that the Dalmatian coast has loosely been dubbed the ‘new Ibiza’ – a worrying supposition, perhaps, for devotees of this largely unspoilt party destination. Thankfully, Stop Making Sense marks itself out from this growing glut of festivals dotted along the Adriatic coastline. 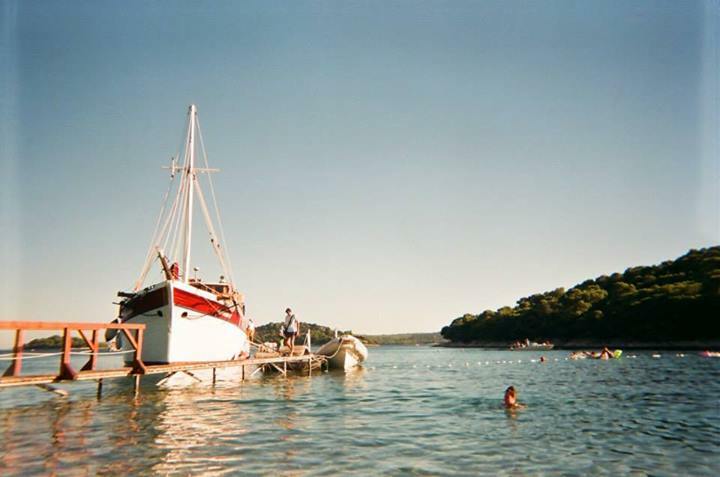 For starters there’s the location: Tisno, an unspoilt Dalmatian town boasting ‘The Garden’, a magnificent, sun-drenched bay – the festival’s focal point and beating heart. Then there’s the discerning line-up, a veritable Who’s Who of underground electronic music, where quality takes precedence over quantity. Its size is perfectly intimate – only 1,000 attendees – and the music offers a well-balanced mix between chin-stroking house and techno, and no-nonsense party disco. The bay also boasts its own dock from which high-spirited boat parties embark twice a day, one around midday, and the second in the early evening. As the sun starts to make its descent, the evening frivolities begin. The ever dependable Trouble Vision brothers, Mr Solid Gold and Park Ranger, kicked things off on Thursday at the Beach Bar – a stage and dancefloor that juts out into the picture-postcard bay – warming up with smooth disco ahead of the evening’s headliner, the adulated John Talabot. The Barcelonan dug typically deep with an array of obscure, feel-good house and disco gems, tied together with some tightly-wound beats. Come 2am, festivalgoers head off in taxis to continue the party into the early hours at Barbarella’s Discotheque, a club not too far from the main site. It is, thankfully, an open-air venue; but doesn’t quite have the grandeur of a festival stage, nor does it have the intimacy of an indoor venue. But, with its no-frills floor, large steel structure and bedding/sofa set up (ideal for the lagging ravers at the end of the night), it has its own sort of charm and quickly grows on you. 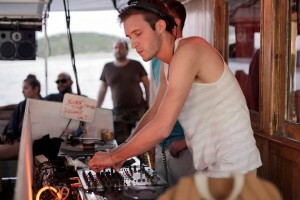 That night, San Soda and Session Victim played on-point sets to an eager crowd; the latter revving up the fun, raw house factor. 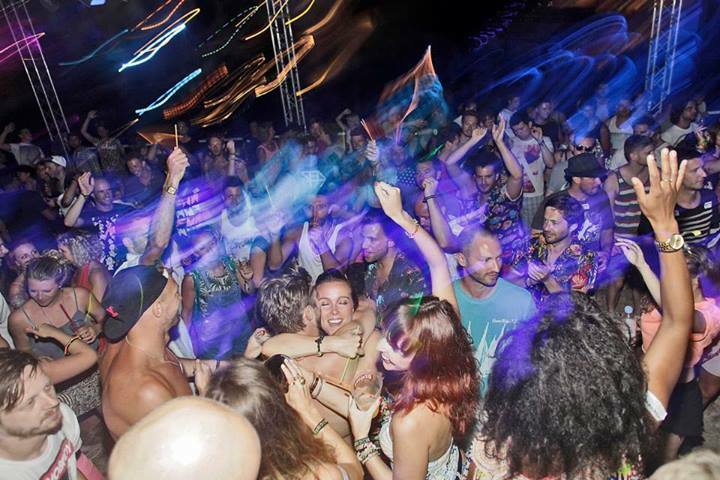 The next day a similar line-up was transported to Trouble Vision’s booze-soaked boat party, surrounded by crystal blue waters and small islands scattered along the coast. Again our Trouble Vision aficionados warmed things up with some sprightly disco edits, encompassing the likes of Candi Staton and Coffee. A hands-in-the-air highlight came as they dropped the rare Late Nite Tuff Guy edit of Change’s ‘Holiday’. As ever, Session Victim brought their wide-eyed sense of fun – unpretentious, party-starting music and a lively presence behind the decks, spinning a number of their own productions (including the rusty groove of the recent ‘Random Blues’), plenty of disco classics and oddball cuts from the likes of Luke Vibert. Over on the beach stage Midland laid down an eclectic set, his harder edged productions slotted in-between upbeat piano house. Boe & Zak’s ‘Loop For Love’ received heavy rotation all weekend; Midland also dropped one of the tunes of the night, his own ‘Checkbob’, all rough and tumble tribalism. Up next, Appleblim started slow and dubby – perhaps too slow as much of the crowd peeled off to the Woodland stage – before upping the ante to reveal an eclectic selection of slinky house and even a touch of old school jungle. Set a few hundred metres back from the Beach Bar stage is the fantastic Woodland Stage. A little more intimate than the Beach Bar, it is modest in size with a sound system that packs a whopping punch. Glasgow’s legendary Subclub residents Harri & Domenic played some weird and wonderful house music. The duo’s set (a highlight of the festival) was only surpassed by Nordic disco don Prins Thomas, who navigated an epic journey through spaced guitar riffs, psychedelic disco and leftfield house, before ending on a surreal edit of Fleetwood Mac’s ‘Dreams’, leaving the crowd hungry for more. 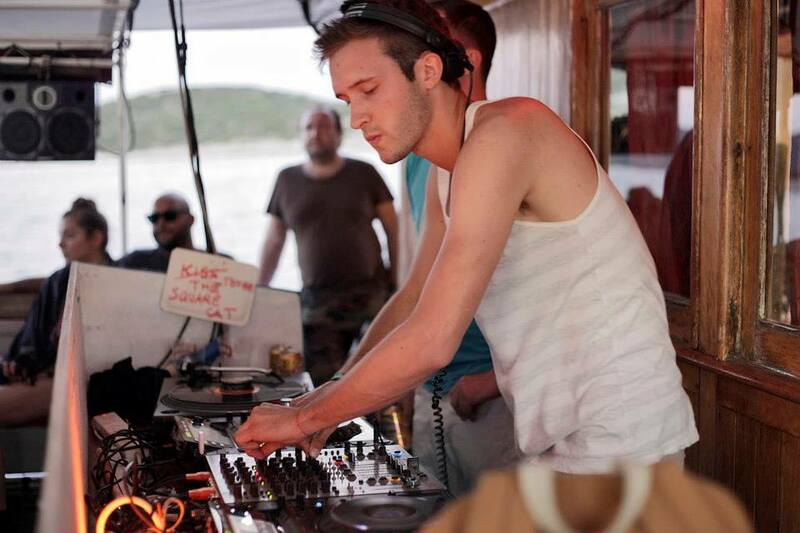 (The Aus boat party the next day was to all intents and purposes a rambunctious affair (this reviewer was unfortunate enough to miss it, but there were rave reviews all round and Midland himself hailed it one of the most enjoyable sets he’d ever played)). Later on that night Sebo K went in for some of the most ear-splitting techno all weekend – raining down a barrage of slamming, whiplashed snares to a riotous crowd on the Woodland Stage. A seasoned pro, the Berliner didn’t mess around with tension or mood-building, opting for banger after banger on the crisp Funktion1. At Barberellas, Lindstrom dropped bubbly, spacey Nordic disco, including his synth-heavy remix of Grizzly Bear. The next day Mano Le Tough stole the show with some brittle house and lush, organic percussion, whilst Pardon My French played a truly mixed bag, spanning kooky disco to growling electro-tech, before RadioSlave’s closing set. 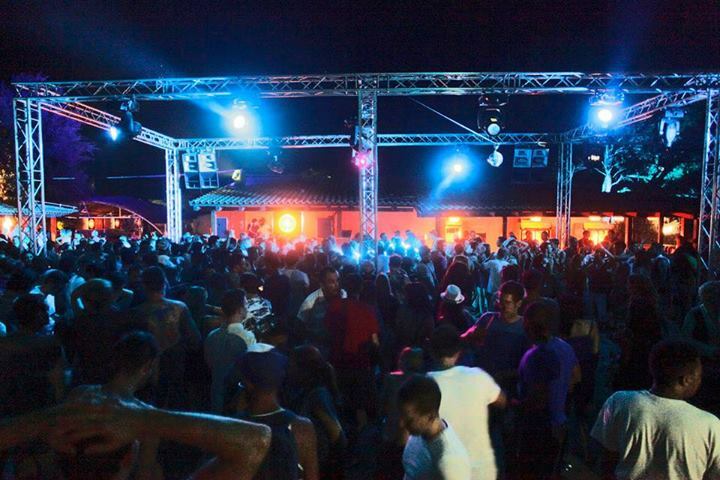 All in all, SMS’s fourth outing struck the perfect balance between first-rate music event and picture-perfect holiday. Then factor in a small, friendly and musically clued-up crowd. The mood is seamlessly relaxed: never is there a fear you’ll miss anything or that DJs will clash (there are only ever two things playing at a time and most DJs play twice). As for the Ibiza comparisons? Well, there are no super clubs, high rise hotels or overpriced drinks – the gurning masses haven’t arrived in all their glory just yet. And I get the impression the promoters behind Stop Making Sense would like to keep it that way.